Ireland started off the year with a huge win for reproductive rights. Since January 1, abortion has been legal and free in the country, which voted overwhelmingly to repeal the 1983 amendment that essentially outlawed the procedure. Anyone can now legally receive an abortion at up to 12 weeks; after that point, it is still possible to receive one if fatal fetal abnormalities are present. But one woman’s story shows how abortion access may be slow to spread across the country, in this case because of how doctors interpret of the law. 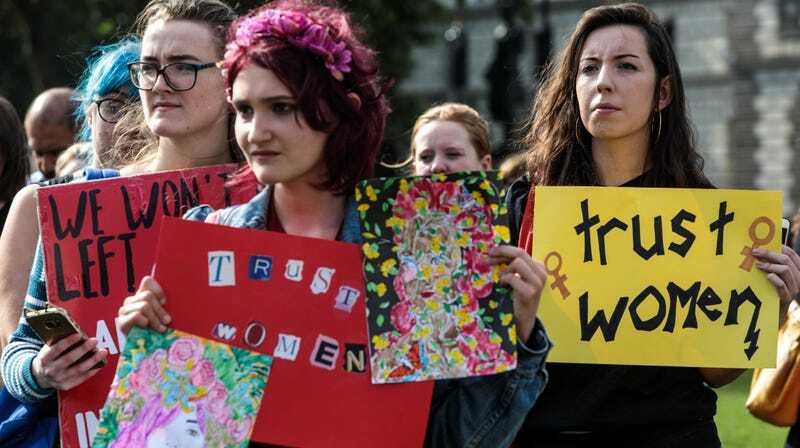 A woman, who says she will now travel to the UK to terminate her pregnancy, was allegedly denied an abortion by a hospital in Dublin, despite being told by two obstetricians that her fetus was developing organs in the wrong position. The news came during a scan in her 13th week of pregnancy. The woman discussed receiving an abortion with the physicians, according to the Irish Examiner, who informed her that they had to discuss the matter with an “internal ‘board’” at the hospital. The Examiner reports that the woman then met with hospital officials and her obstetrician and was told the diagnosis she received “doesn’t neatly fall into a fatal fetal abnormality” category. The hospital denied that its board had any role in deciding whether or not the patient could receive an abortion and called any such reports “untrue.” But, as the Examiner reports, the hospital has not yet commented on whether another board met and consulted on the matter.